Cocktails with Kendall: Kendall Jenner attends a Tiffany & Co event in New York Pic: Getty Images for Tiffany & Co. It wasn't so much breakfast at Tiffany's but champagne, diamonds and a famous Jenner at one of the hot tickets on the Aussie social scene. As she walked along the red carpet, Kendall told media "there is a lot I love about Australia...the atmosphere reminds me of home". Ms Jenner, 23, is dating Australian basketballer for the Philadelphia 76ers and GQ Australia cover star Ben Simmons (who unfortunately didn't jump out of a big blue signature Tiffany box) while security around the mega model was tight. As one of the 5 'K'-named daughters of "mum-ager", Kris Jenner, Kendall (with 107 million Instagram followers hanging on her ever move) is the older sis to fellow model Kylie (with a mere 131m followers) and is half sister to Kim, Khloe and Kourtney Kardashian. You couldn't make this stuff up. 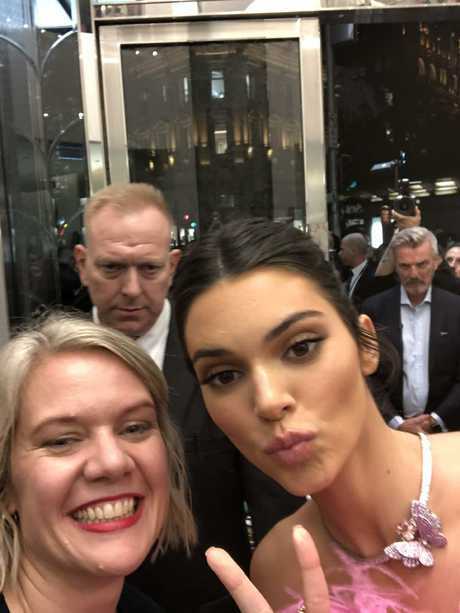 News.com.au editor Lisa Muxworthy snaps a selfie with Kendall Jenner. Kendall was joined by CEO Alessandro Bogliolo, A$AP Ferg, Lara Worthington, Jesinta Franklin and Victoria Lee who all celebrated what is deemed Australia's next Tiffany store. The flagship store takes up 1,800 square metres and will become the ultimate luxury shopping destination in Australia. From the unique facade design to its gracious interiors, the store echoes the company's global reputation and 182-year history that includes Sydney, where Tiffany first opened a store in 1994. 450 of the country's social set made up the guest list including Eva Galambos, Jessica Mauboy, model Cameron Robbie, Carmen Hamilton, Amanda Shadforth, model Victoria Lee, Soho House executive Markus Anderson and every major lifestyle magazine and fashion player in town. Kendall Jenner arrives at the official opening of the Tiffany & Co. flagship store in Sydney. Kendall Jenner was the star of the show at the Tiffany & Co launch on Thursday night. The launch was a visual spectacular with lot of colour although the starting post was black, as guests wandered down the "black" carper. After drinks in the style-fuelled store, guests made their way downstairs to an unconventional location under the store, which had been painted 'Tiffany' blue. For the first time, the store also featured a large permanent assortment of Tiffany 'High Jewellery' with pieces being among the world's most precious and exceedingly rare creations. Guests swamped the Tiffany "style studio" with dedicated stylists offering more interactive browsing of jewellery in open displays, with photo opportunities and a Tiffany try-on studio where guests tried on one of the store's most dazzling jewels. There were also custom installations created exclusively for the store by nine up-and-coming and established Australian artists including Lisa Cahill, Anna Wili Highfield and Gemma O'Brien. Kendall Jenner pictured on arrival into Sydney. 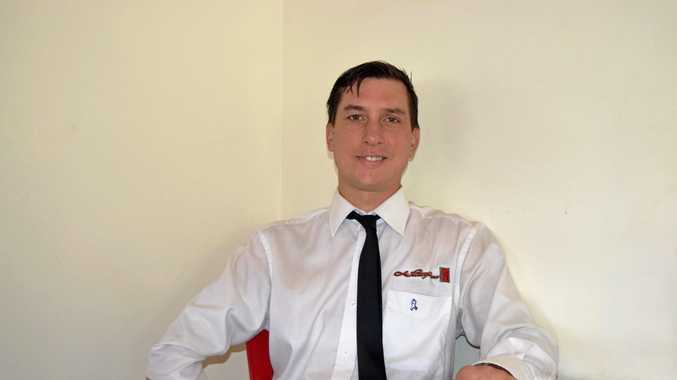 Picture: Matrix Media Group. As one of the world's most popular "influencers", Kendall recently responded to her involvement in the ill-fated Fyre Festival. The music festival - which enlisted a whole crew of highly paid models to promote it - was the subject of a fascinating Netflix documentary and created a huge stir, with people losing major bucks, when the whole event was deemed a disaster, before it even started.